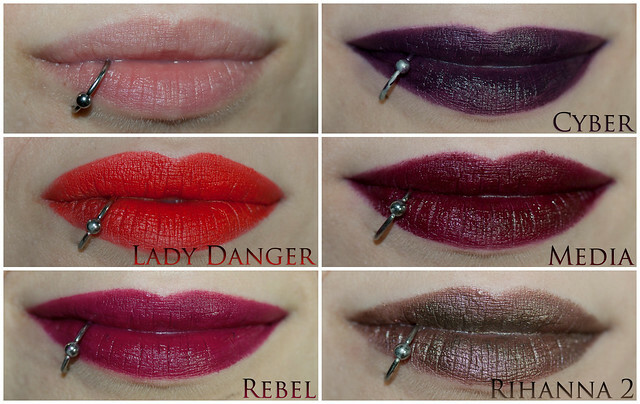 Samarium's Swatches: Mac Lipstick Swatches: Cyber, Lady Danger, Media, Rebel and the Rihanna 2! 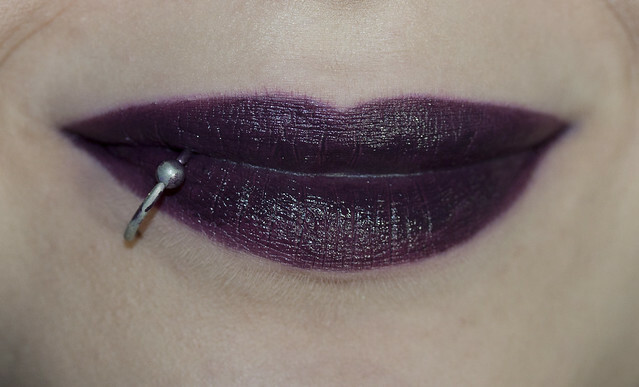 Intense blackish purple - Satin Finish. 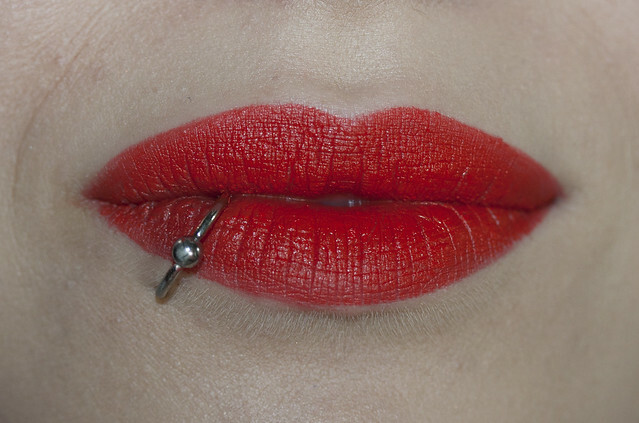 Vivid bright coral red - Matte. Intense reddish purple- Satin Finish. Midtonal cream plum - Satin Finish. Warm mauvey silver frost - Frost Finish. These aren't the neatest swatches, but you get the idea. I was thinking I should slowly swatch though my lipstick collection, i have quite a few! 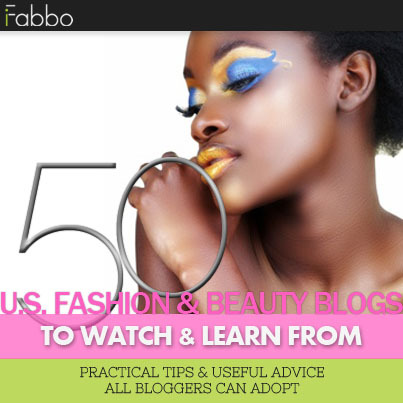 Would any of you be interested in seeing? I have a lot of lip products from various brands (and price ranges)! 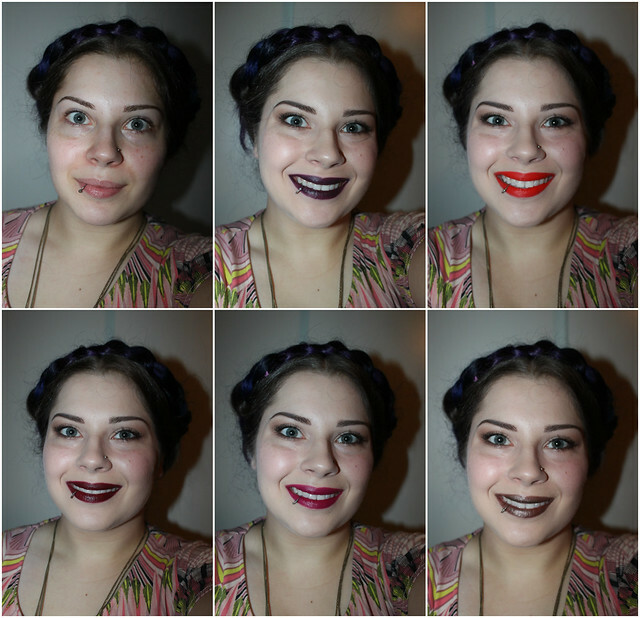 Nice lip swatches! There all very lovely for fall. 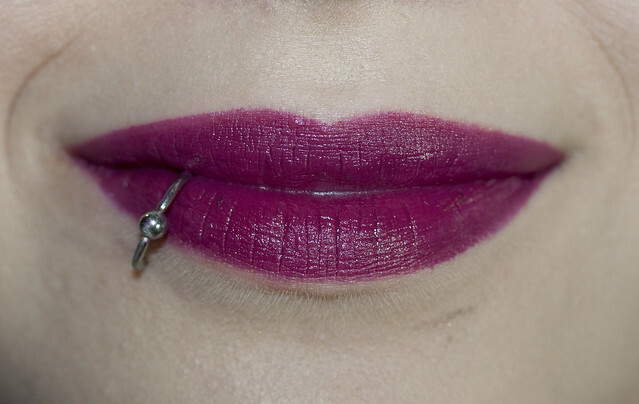 Kind of a random question, but is it difficult to apply lip products with your lip ring? 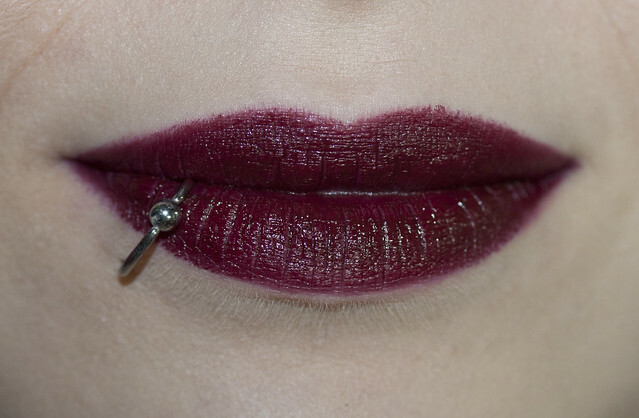 It's something I've always wondered when debating a lip ring for myself. Lady Danger looks absolutely amazing on you!